The Fairfax County Park Authority (FCPA) renamed Fox Mill District Park in July 2006. It is now known as Fred Crabtree Park because of his contributions to the FCPA. 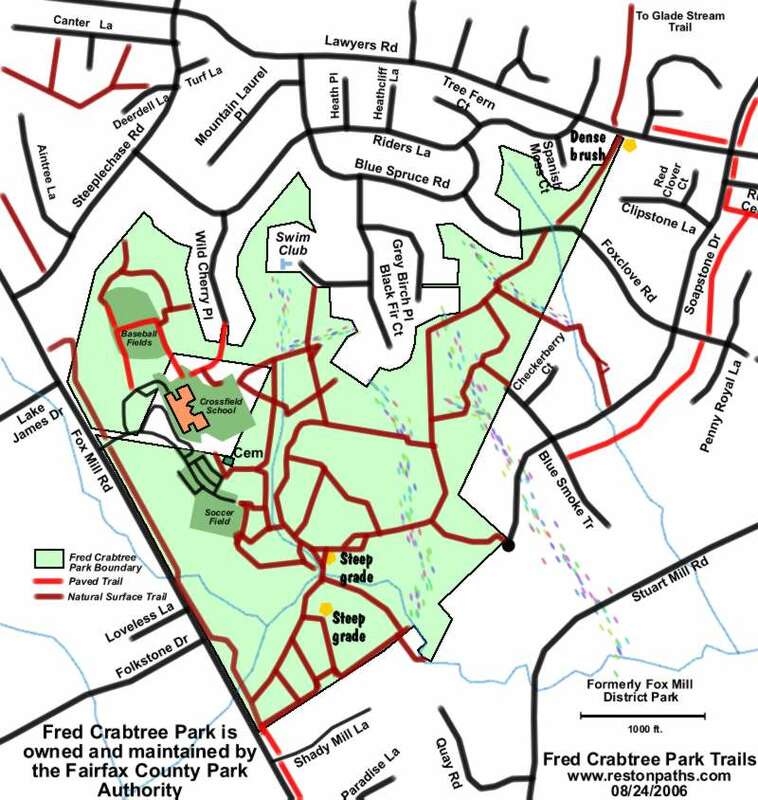 Mr. Crabtree was instrumental in acquiring, expanding and developing numerous parks and facilities including Fox Mill District Park, Peterson Lane Park, Nottoway Park, Frying Pan Park, Clarks Crossing Park, Floris School Site, Baron Cameron Park, Lahey Lost Valley Park, Lake Fairfax Park and many others across Fairfax County. I hope you enjoy your visits to the Fairfax County parks as much as I have. Thanks Mr. Crabtree for all your great work.